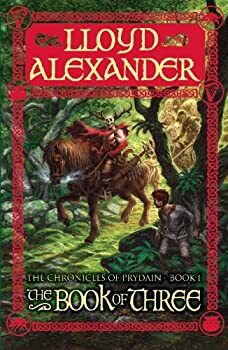 The Black Cauldron is the second in Lloyd Alexander's five-part Chronicles of Prydain, and possibly the most well known. When discussing these books with other people, you'll usually get a blank look if you say "the Prydain books" or The Book of Three, but if you mention The Black Cauldron, you'll probably get a vague sense of recognition. 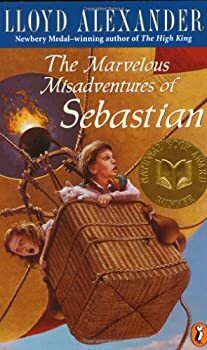 It is a Newbery Honor book and was made into a Disney film, and as such is the most popular of all five books. 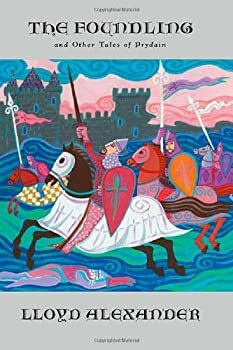 In many ways, this fourth book in Lloyd Alexander's The Chronicles of Prydain is the odd one out. It is the only story that does not pit our characters against the forces of supernatural evil (well, except in one small instance). It is the only installment in which Princess Elionwy is completely absent. It is the only story that has no clear destination in its quest narrative. Even the title is a little different, lacking the usual "The" before the noun. 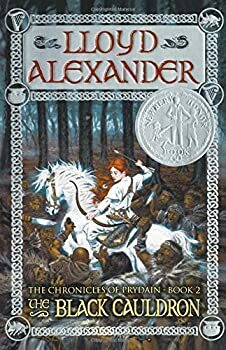 The High King is the fifth and last book in the truly wonderful Prydain Chronicles by Lloyd Alexander, preceded by The Book of Three, The Black Cauldron, The Castle of Llyr, and Taran Wanderer, all of which are necessary reading if you want to fully understand and enjoy this last installment. The High King, however, has the added distinction of being the winner of the Newbery award, as well as being a good deal thicker than the previous books. 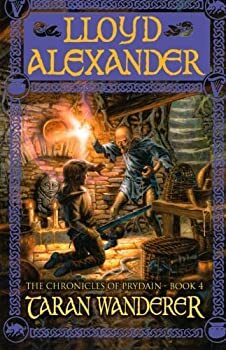 After the five-part Chronicles of Prydain came to a close, fans of the series requested more stories from Lloyd Alexander, and he obliged with this anthology. There are eight short stories in all, set in Alexander's Welsh-inspired land of Prydain in the time before our favourite Assistant Pig-Keeper was born, and each one includes familiar characters or legendary circumstances from the original books. In particular, many of the tales pit the forces of light and life against the main antagonist of the saga: Arawn, the dark Lord of Death. 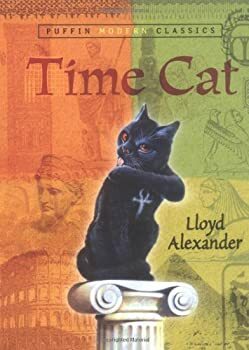 Published way back in 1963, Time Cat was the first book ever written by Lloyd Alexander, and as such, exists as an interesting comparison to many of his later books, with echoes of plots and characters that will later be used in his more famous and sophisticated works. 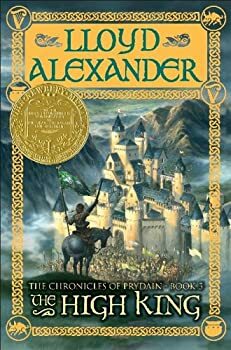 It is quite a simplistic book, with a straightforward story told in clear but sparse prose, but there are certainly traces of the excellence that is to come in Alexander's later books, particularly the award-winning The Prydain Chronicles. Despite its mouthful of a title, this children's novel has everything that you would expect from a Lloyd Alexander story: a likable protagonist, a colorful supporting cast, plenty of twists and turns, and a profound morality at work that is so expertly melded into the storyline that many won't even realized they've been reading about it. No one does it better than Lloyd Alexander. 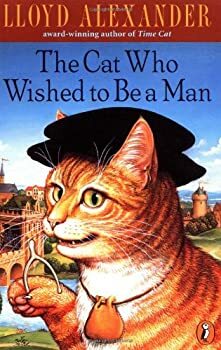 One of his early children’s chapter books, The Cat Who Wished to Be a Man contains all of his trademark wit, wisdom and warmth, as well as a valuable lesson and plenty of delightful characters. After giving his cat the gift of speech, the magician Stephanus is now harangued by requests to turn him into a man. Lionel is desperately curious about the world of mankind, despite his master’s low opinion of the folk who live in the nearby town of Brightford -- according to him he once built a bridge for the whole townsfolk to share, only for the Mayor to seize control of it and place a toll over it. Stephanus left in disgust after that, and hasn’t returned since. All the wizards have long since departed this land for Vale Innis — but one has been left behind. 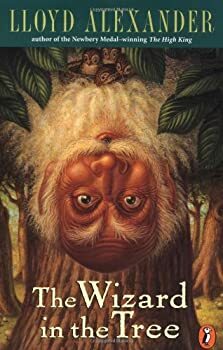 When Mallory's favorite oak tree is felled, she finds a surprising discovery inside: an old wizard named Arbican who's desperate to follow his fellow wizards across the sea. 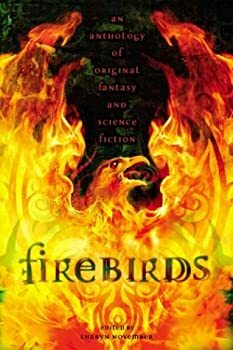 The orphaned Mallory has grown up with stories of magic and enchantment, and couldn't be more delighted with the discovery — especially if there's a chance that she can go with him. Mallory does not have the most wonderful life as scullery maid to the nasty Mrs Parsel, but Arbican has bigger problems: his magical powers have been severely depleted, and if he does not reach Vale Innis soon, he faces imminent death. 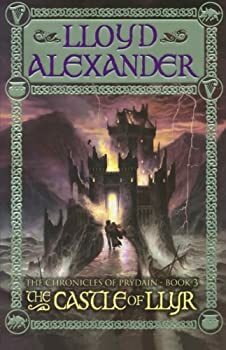 The trademark feature of Lloyd Alexander's storytelling is to choose a cultural background and weave his own story into the already existing mythology; his most famous example of this is of course The Chronicles of Prydain, in which his own story and characters were melded with the myths and legends of Wales (as found in The Mabinogian). 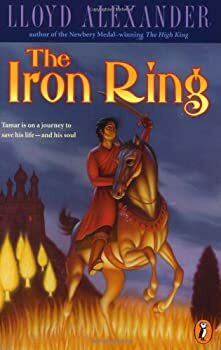 The Iron Ring gets a similar treatment, as worked into the story are elements of The Mahabharata and The Ramayana, India's great national epics. 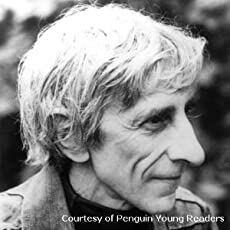 During his lifetime, Lloyd Alexander was a prolific children's writer, perhaps best known for the wonderful THE CHRONICLES OF PRYDAIN, which is essential reading for any young fantasy fan. 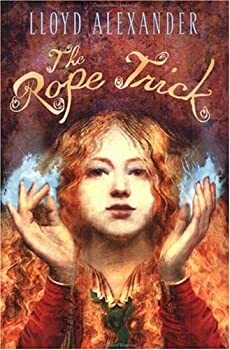 The Rope Trick was one of his last books (only two more followed it) and it contains a lot of what his fans have come to expect: a plucky heroine, a twisty plot, nuggets of wisdom, a range of colourful characters (including an enigmatic wise man who always lingers just out of reach) and the familiar theme of it being the journey, not the destination, which really matters. 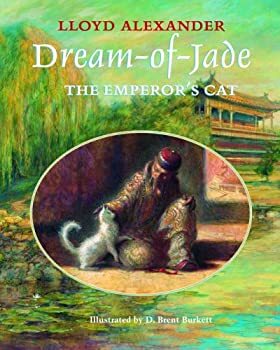 Lloyd Alexander's love and respect for felines is obvious — one need only look at the number of books he has written about them, such as Time Cat, The Town Cats and Other Tales and The Cat Who Wished to Be a Man. And who could forget the giant cat Llyan from The Chronicles of Prydain? Westmark — (1981-1984) Ages 9-12. 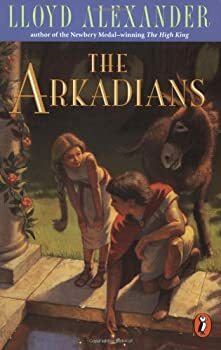 Publisher: Falling in with a roguish doctor, his dwarf attendant and an urchin girl, Theo embarks on an unforgettable adventure in the kingdom of Westmark. The Vesper Holly Series — (1986-2005) Ages 9-12. Publisher: It’s 1872, and adventurous Vesper Holly and her guardian set out for the tiny country of Illyria, on a quest for its legendary treasure. But once Vesper and Brinnie arrive, they are plunged into a fierce struggle between rebel forces — and someone is out to kill the two of them! If anyone can triumph over those kind of odds, it’s Vesper — one of Lloyd Alexander’s most intrepid (and best-selling) heroines. The First Two Lives of Lukas-Kasha — (1978) Ages 9-12. Publisher: After paying a silver penny to encourage a magician to perform in the town square, a carpenter’s helper is conjured to a strange place where the people call him King of Abadan. The Fortune-Tellers — (1992) Ages 9-12. Publisher: This original folktale set in Cameroon is full of adventure and sly humor. Lloyd Alexander’s story of a young man visiting — and then becoming — the village fortune-teller is brought to vibrant life with some of Caldecott Medalist Trina Schart Hyman’s most memorable artwork. The House Gobbaleen — (1995) Ages 9-12. Publisher: Poor luckless Tooley longs for some help from the Friendly Folk, so when an odd little man shows up, Tooley is delighted. But Hooks worsens Tooley’s bad luck. It’s up to Tooley’s wise cat to get rid of Hooks- by summoning the dreaded House Gobbaleen! The Gawgon and the Boy — (2001) Ages 9-12. Publisher: After a life-threatening illness keeps him out of school for months, David is given a tutor to help him catch up-his elderly, tough Aunt Annie, who is as frightening to him as a monstrous, snake-haired Gorgon. He even secretly nicknames her “The Gawgon.” But, to David’s surprise, a bright heart lurks inside the old woman. She challenges him more than any schoolteacher ever could, opens all sorts of possibilities in his life, and the two of them-The Gawgon and The Boy-develop a very special friendship. Loosely based upon Lloyd Alexander’s own childhood, this jewel of a novel will be treasured by readers of all ages. Fantastical Adventures of the Invisible Boy — (2005) Ages 9-12. Publisher: A riotousy funny and deeply personal story of wonder, discovery and friendship, full of eccentric characters and fantastical adventures, by one of America’s best-loved authors. When David falls ill his tough old Aunt Annie offers to tutor him, and he soon grows fond of The Gawgon, as he nicknames her because of her resemblance to the terrifyuing Gawgon Medusa of Greek myth. Together they embark on exciting imaginary adventures rescuing King Tut’s treasure, scaling mountains and outwitting master criminals. The Golden Dream of Carlo Chuchio — (2007) Ages 9-12. 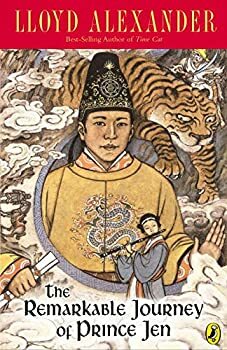 Publisher: A beautiful Kirkassi girl, cold-eyed villains and smiling killers, a bazaar merchant peddling slightly used dreams — could any young adventurer ask for more? Not Carlo Chuchio, who is seeking hidden treasure on the legendary Road of Golden Dreams. With Baksheesh, the world’s worst camel-puller, Carlo leads a caravan through the realm of Keshavar. Robbed of all but his underdrawers, mistaken for a mighty warrior and then for a crown prince, Carlo risks his life for a prize that may not even exist.